I was so excited when my Sennheiser MOMENTUM True Wireless Earbud Headphones arrived in the mail. I could not wait to try these out. I have a pair of blue tooth headphones I like to use when I work out or at work but they still have wires that get in the way and get tangled up. They also do not fall out when you work out! 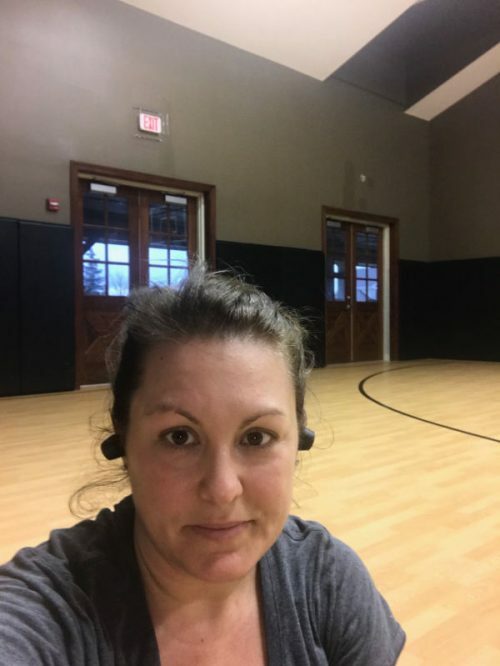 As you can see from this picture, I was getting super sweaty from the elliptical and doing burpees and planks! They stayed in the entire workout. No readjustment needed. Sennheiser’s flagship MOMENTUM range of headphones continues to break new ground through an outstanding fusion of advanced technology, uncompromised sound performance and the highestquality materials. 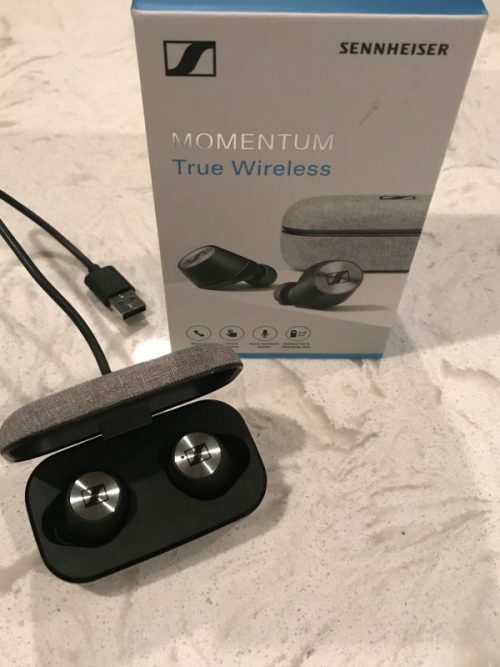 Now, we have brought the peerless MOMENTUM ethos to a breakthrough new product – the MOMENTUM True Wireless. The premium Bluetooth earbuds set new standards for audio quality, comfort and craftsmanship. Sennheiser MOMENTUM True Wireless Earbud Headphones is when you take one ear bud out the headphones automatically pause – called smart pause. 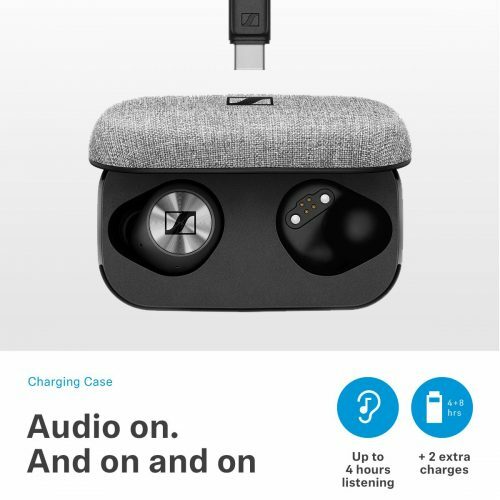 I also LOVE that it was super easy to connect the headphones via Bluetooth 5.0. The connection and sound is great. I would highly recommend these headphones for someone who loves to listen to music or podcasts and wants great sound without the hassle of cords or wires! These earphones are super comfortable as well so you can wear for hours on end without discomfort in your ears. Have you tried the Sennheiser MOMENTUM True Wireless Earbud Headphones? What are your thoughts?